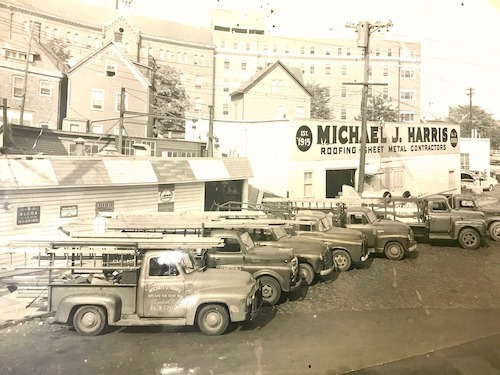 About Michael J. Harris, Inc.
“Michael J Harris, Inc. is a family owned business that started in 1915, and is in their original location – 645 New Point Road, Elizabeth, NJ. Michael J. Harris, Inc. is currently owned and operated by it’s third generation owner – Michael Harris. For more about the company’s history view here. Today, the company is thriving and attributes it’s continued success to providing excellent craftsmanship and superb customer service in Essex, Union, Morris, Hudson and Middlesex Counties, NJ. While the company’s prices are competitive, it’s Michael’s expertise in diagnosing the exact nature of a leak, and finding the most cost effective solution for it, that makes the outcome superior to others in the business. “In early 2000, in response to consumer demand, Michael expanded his services to include masonry. It is a very natural extension since so many happy customers asked if he could also repair and rebuild their chimneys, walkways and steps. Now masonry accounts for approximately 30% of the business. A leading competitive edge of working with Michael J Harris, Inc.is the impressive experience and knowledge of their roofing specialists. They have been hired, trained and developed by Michael Harris and they only work for him. The Foreman has been employed by Michael J Harris Inc. for over 20 years. He is incredibly hard working and insures each customer is completely satisfied. © 2019 Michael J. Harris. All Rights Reserved. Michael J Harris Inc. specializes in all types of roofing including; slate, tile, shingle, flat roofs, commercial and churches in Essex, Union, Morris, Hudson and Middlesex Counties NJ. Founded in 1915, they guarantee you will be satisfied with their fine craftsmanship and superb customer service.